People of faith have endured violence since the beginning of time. Maybe the main reason for this truth is that people in general have encountered violence for all of our existence; people of faith have never escaped that human reality. The massacre at Sutherland Springs TX takes our breath away and we find ourselves grappling once again with the epidemic of gun violence that infects our nation. The mass murders of these people who were worshiping within their sacred space evoke our anger, our confusion and our deepest indignation. Why do you hold back your hand? Why do you keep your hands in your pockets?!?! Why don’t you DO something!? Here is a constant dilemma for people of faith. If God is good, then why is there evil in the world? If God is powerful, then why doesn’t God do something about the evil? These are questions that many thoughtful people have asked across the ages. I too have pondered this conundrum but I will not attempt any facile answers here. 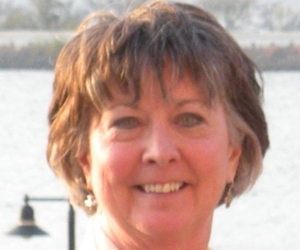 In my understanding of the biblical story, God has shared power with us humans. The Creator has given US the responsibility to serve and protect creation. The earth. The nations. One another. 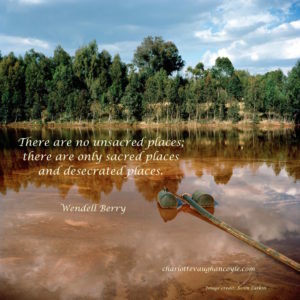 There are only sacred places and desecrated places. Those of us who live with religious faith forget this truth and don’t live into it very well. But those who are not religious bear equal responsibility for allowing the desecration of creation. Most of us would have considered Sutherland Springs Baptist Church to be a sacred place even before Sunday morning, November 5, 2017. But now it is sacred space that was desecrated. Now it is holy ground, sanctified by blood. As are the concert grounds of Las Vegas, the club in Orlando, the towers in New York. As are too many city sidewalks and community parks. As are too many schools and homes. My faith is in the God I have come to know in Jesus Christ. I believe God is at work in in the world in mysterious ways. I believe God offers me wisdom and courage to participate in that divine work. Others carry faith in a higher power they call by a different name. Some put their faith in ideologies, scientific theories or the hopeful possibilities of humanity. Some only trust in themselves. There is within us and among us more than enough power to serve and protect the sacredness of our world, our communities and one another. We have more than enough power. But will we summon up the will power that is needed for such a immense task? Will we begin? 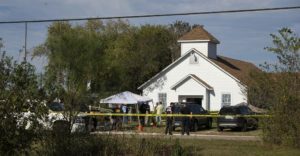 Photo of Sutherland Springs Baptist Church by Austin-American Statesman. Your writing is prophetic. Thank you for this call to action and to coming together.